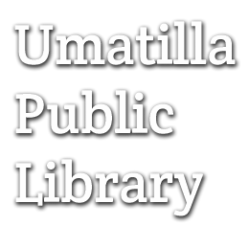 Not hold the Umatilla Public Library or the City of Umatilla liable for any loss or damage to your data, software, hardware of for any damage or injury arising from invasion of privacy in your computer accounts, programs, or files. The Library assumes no responsibility for damages direct or indirect arising from connecting to the Internet. Not in any way damage library software, hardware. No downloading, installing of any software onto computers, or malicious programs. Use of your own device-Flash drive is advisable. Children Alone in the Library: Guidelines for Parents and Staff: Parents are responsible for the behavior of their children while they are in the library and on library property. The Umatilla Public Library will help children with activities related to the Library. It is not the Library staff's responsibility to serve as baby-sitters, teachers, or disciplinarians. Children age 10 or under must be accompanied in the library. It is strongly recommended that all children are accompanied by someone who can take responsibility should an emergency occur.If a child in this age group is found unattended, library staff will attempt to locate the parent/caregiver in the library and inform them of the rules.If the parent/caregiver cannot be found, the police will be called for assistance to locate the child's parent/caregiver.